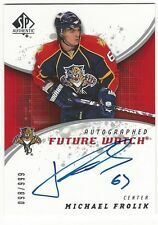 Year/Collection/Condition:For the year, collection, condition, and other characteristics of the card refer to the sectionItem Specifics , right below the picture of the item,or to the title of the listing , not to the information shown on the picture. 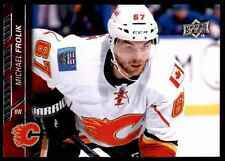 2013-14 13/14 Upper Deck Series 2 Base Cards #251 - #450 Goalies, Stars U Pick! 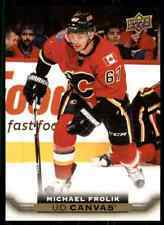 2017-18 17/18 Upper Deck UD Series 1 Base Cards #1 - 100 Stars, Goalies U Pick! 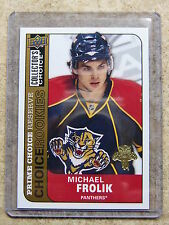 2008-09 Upper Deck Champ's Michael Frolik #C249 Rookie Panthers Hockey Card WL4.